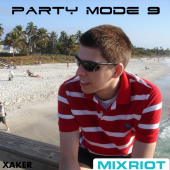 This is the latest mix in my Party Mode series. I started these a while ago. It is just a hobby; taking what I think are the best songs at the time and playing around mixing. I don't have a whole lot of time, so it might be a little bit behind the current songs. They are still some of the best trance, techno, dance tracks that I have found.